Apple's new MacBook Pros appear to be incompatible with Thunderbolt 3 devices that use controller chips from Texas Instruments, meaning some early Thunderbolt 3 products may not work with the new machines. The incompatibility was discovered by Plugable (via 9to5), who found that their TBT3-DP2X and TBT3-HDMI2X graphics adapters were not compatible with Apple's new MacBook Pros because they use a controller chip from Texas Instruments. As a result, Plugable will be postponing its upcoming Docking Station as it works on a compatibility solution. Because of this, we've made the difficult decision to postpone our TBT3-UD1 Docking Station as we evaluate what is necessary to make this docking station MacBook-compatible. Our Flagship TBT3-UDV dock with Power Delivery/Charging is using the next generation controller chip from TI, and will be compatible with the 2016 Thunderbolt 3 MacBooks. Because some existing or soon-to-be available Thunderbolt 3 accessories may not be compatible with the new MacBook Pro, customers who are looking to purchase docks, adapters, and other products should double check with manufacturers to ensure compatibility. Many products on the horizon newer Thunderbolt 3 chipsets and won't be affected, and it's also possible Apple could push a firmware update to add support for accessories with the older Texas Instruments controller. Update: Plugable has provided MacRumors with more information on which Thunderbolt 3 accessories are supported by the MacBook Pro and which are not. 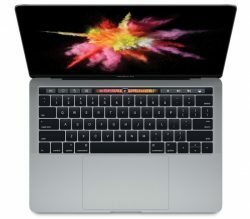 The version of OS X on the new MacBook Pros (late 2016) will not work with existing Certified Thunderbolt 3 docks and adapters (released prior to November 2016). These existing devices use Intel’s Thunderbolt 3 chipset (Alpine Ridge) in combination with the first generation of TI USB-C chipset (TPS65982). Apple requires the 2nd generation TPS65983 chipset for peripherals to be compatible. Certification of solutions across different device types is still in-progress for this 2nd generation chipset. From the Plugable product line, our dual display graphics adapters for DisplayPort and HDMI (TBT3-DP2X and TBT3-HDMI2X) are affected and are disabled by OS X on the new MacBooks. So we offer these products as Windows-only Thunderbolt 3 devices until a future hardware update. Our Thunderbolt 3 cables do not require this chip, and therefore are compatible. We’ve also made the difficult decision to postpone our TBT3-UD1 Docking Station to update to the TPS65983 chipset and re-certify to make this docking station MacBook-compatible. Our Flagship TBT3-UDV dock with Power Delivery/Charging was already planned to use the next generation controller chip from TI, and will be compatible with the 2016 Thunderbolt 3 MacBooks. You know what? My early 2013 MacBook Pro can make it another cycle. This is ridiculous. The one port that does it almost. As if we needed any more straight up kicks to the balls with this product. This thing could really use some good news. Seems like nothing but negative articles lately. You're plugging it in wrong! It would be nice for your TB3 devices to work with a machine you just paid $1800+ plus for. This launch is just full of bad news. The new MacBook 'Pro' is not compatible with reality. Thought over the weekend. Ordered a 15" maxed with 1tb. Canceled today. F it. Going to a maxed 2015. That will last me 3 years at least. Saved 1k so far in my search to buy one anyway. With all the bad news has come out as of late, how can one not be disappointed?